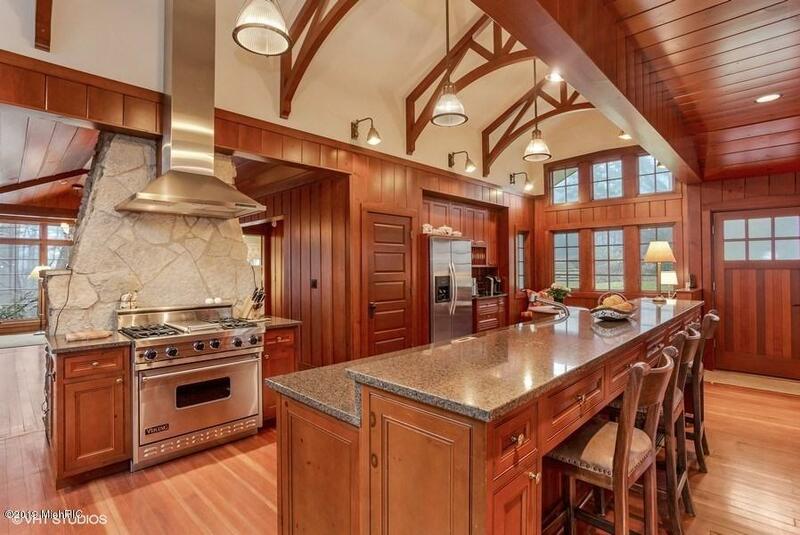 Enchanting Woodland Estate in the heart of Harbor Country. 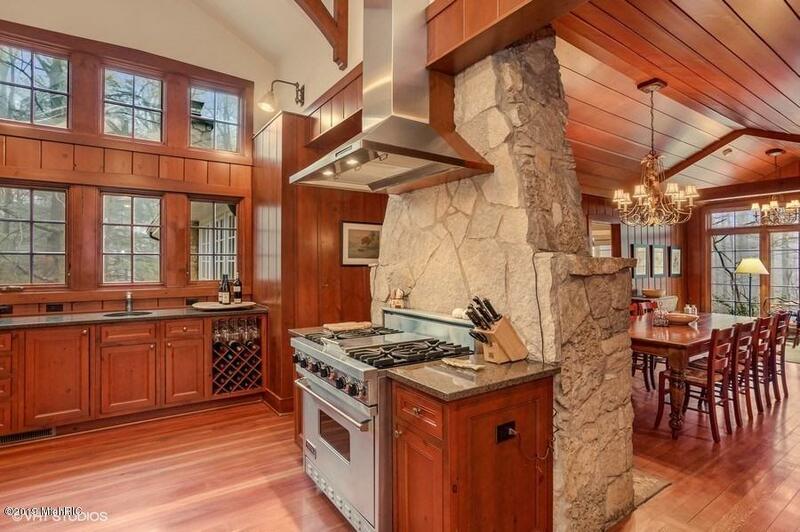 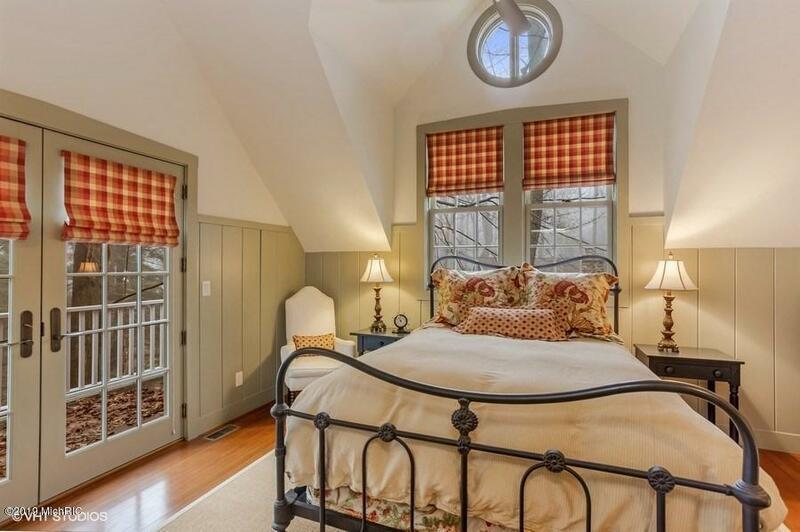 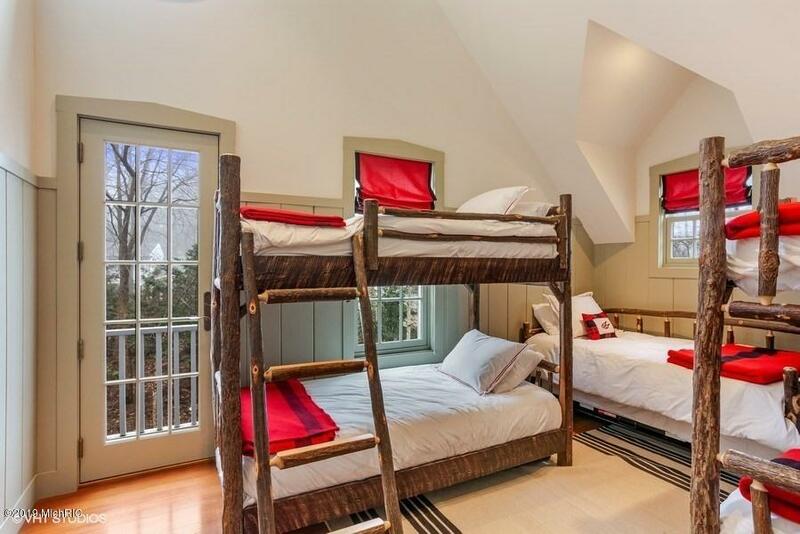 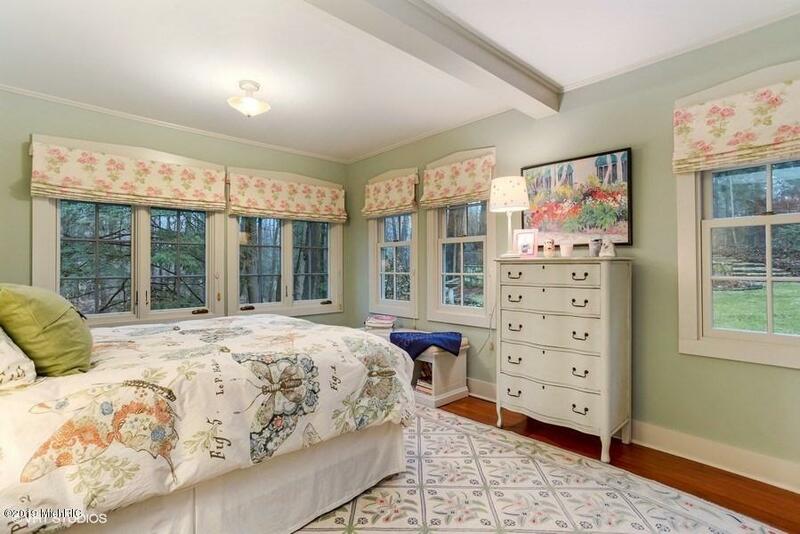 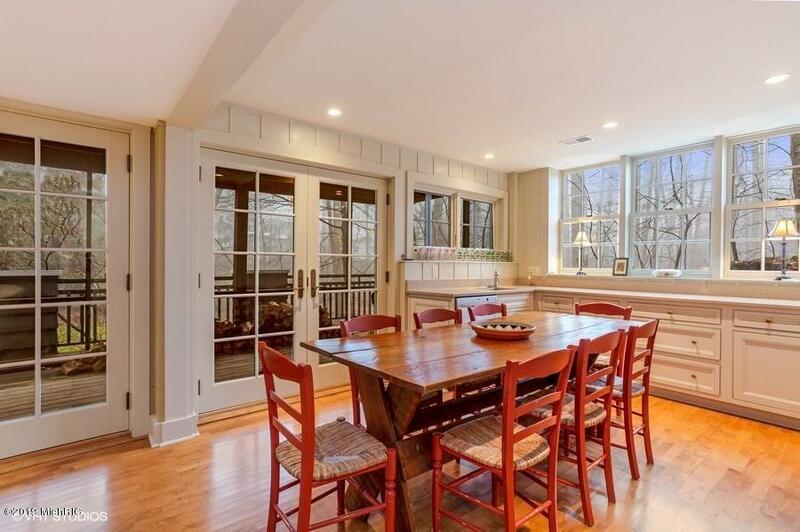 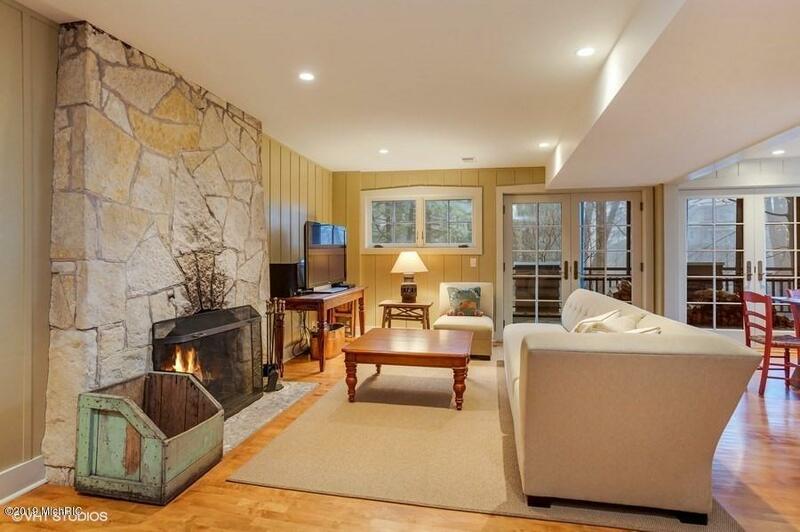 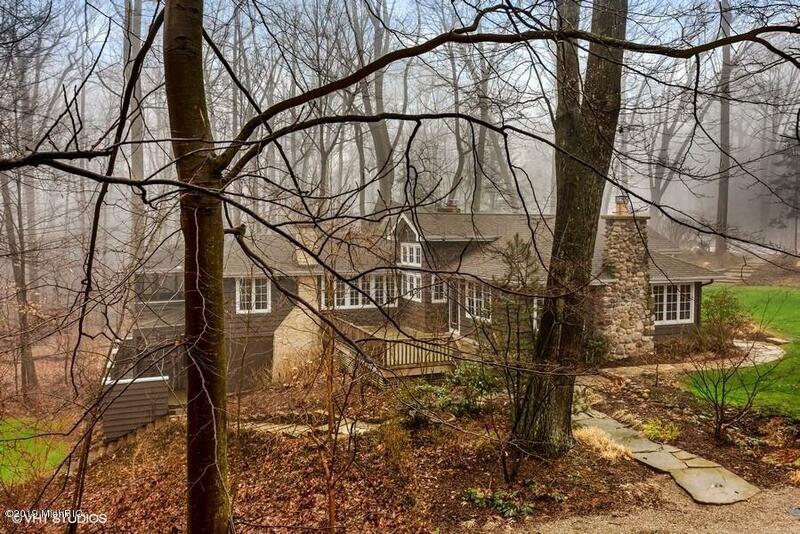 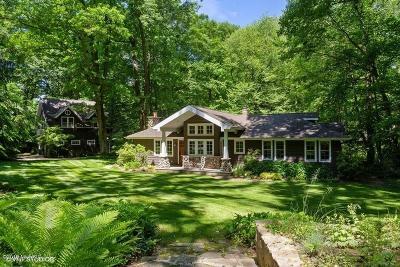 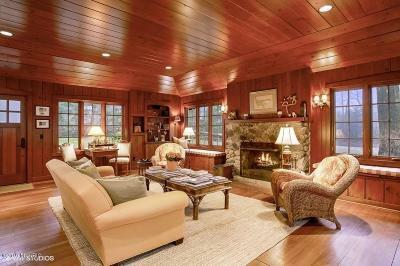 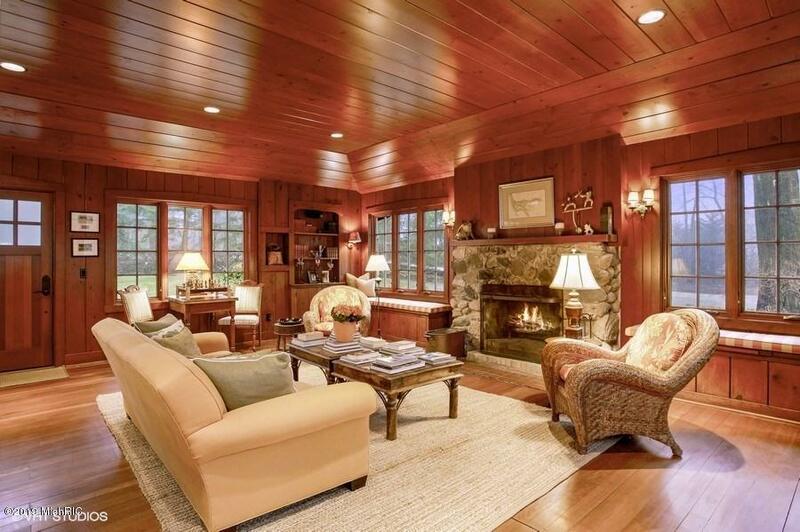 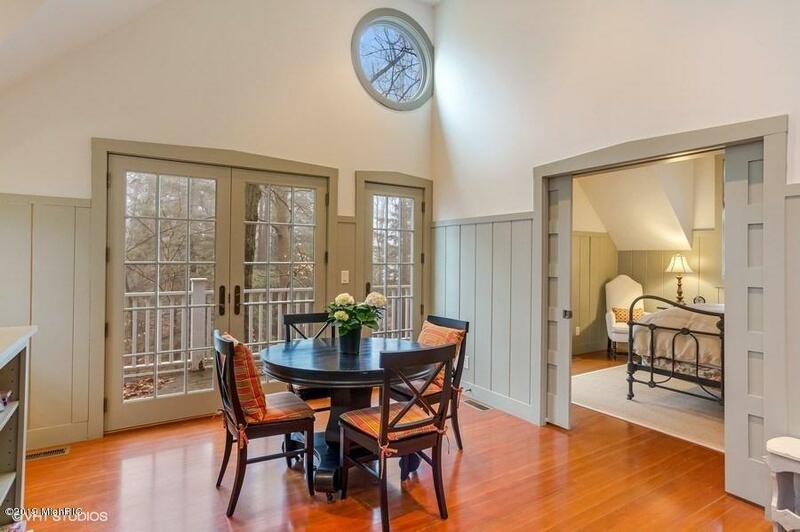 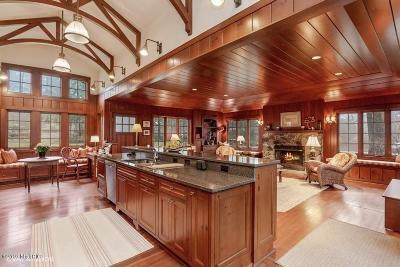 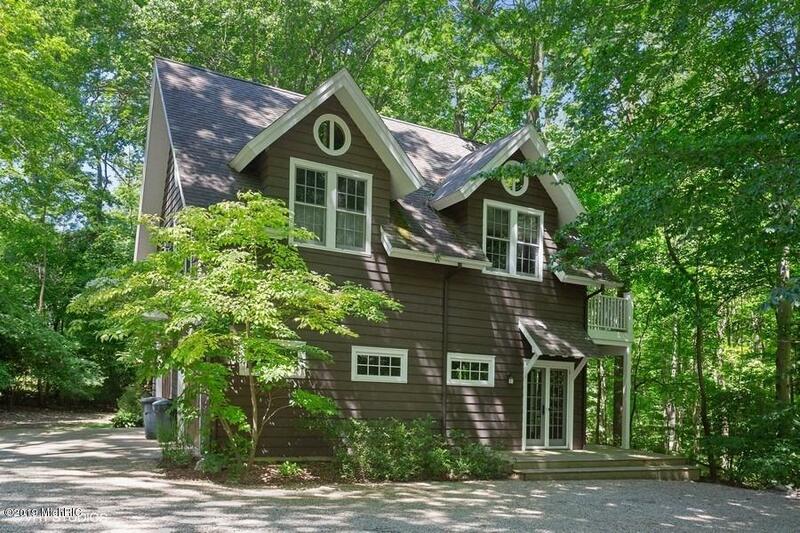 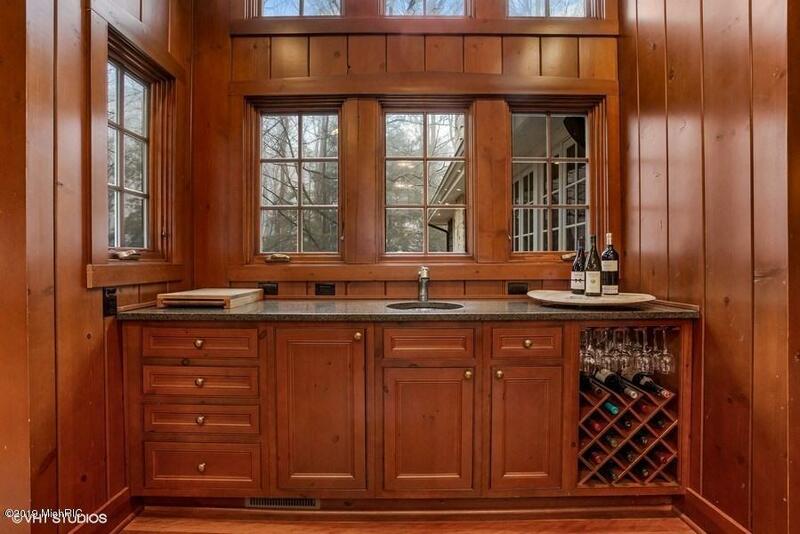 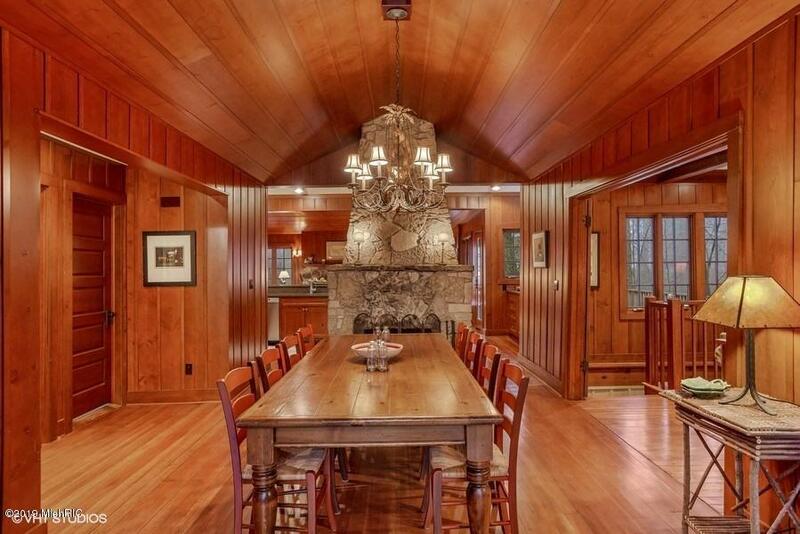 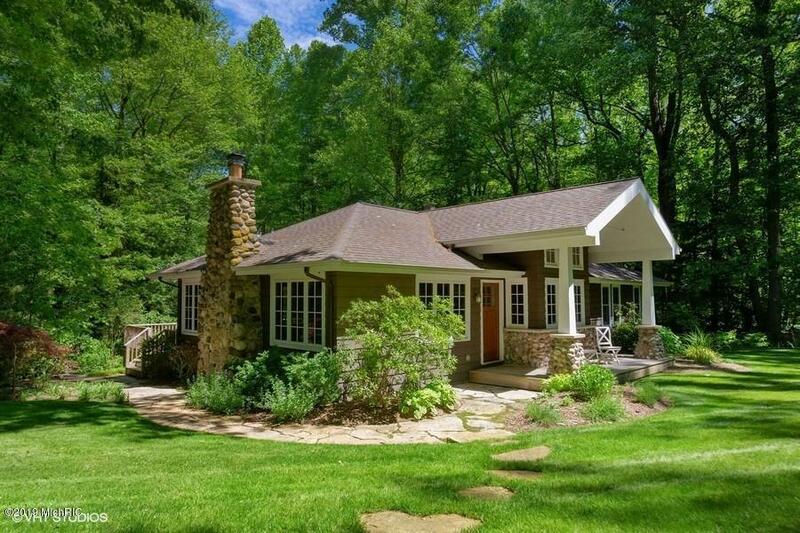 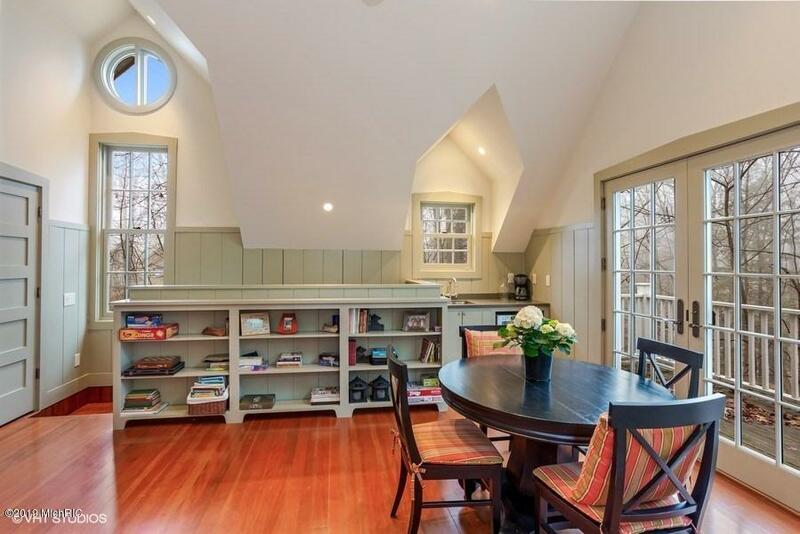 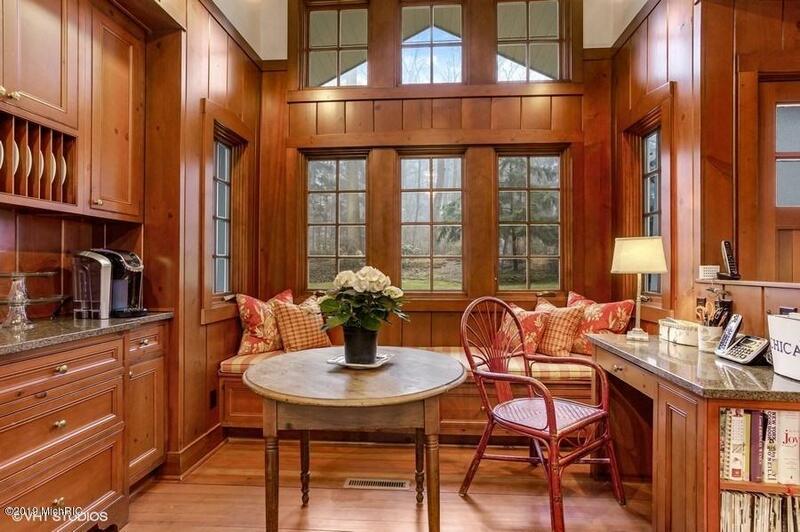 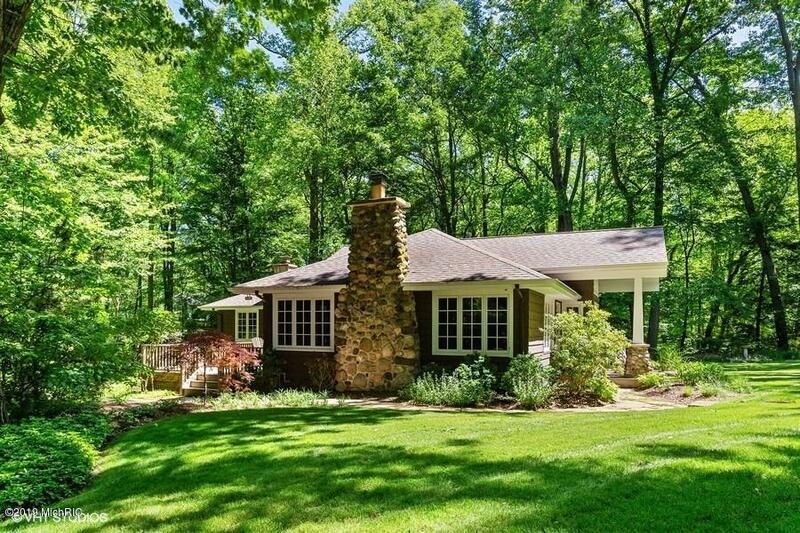 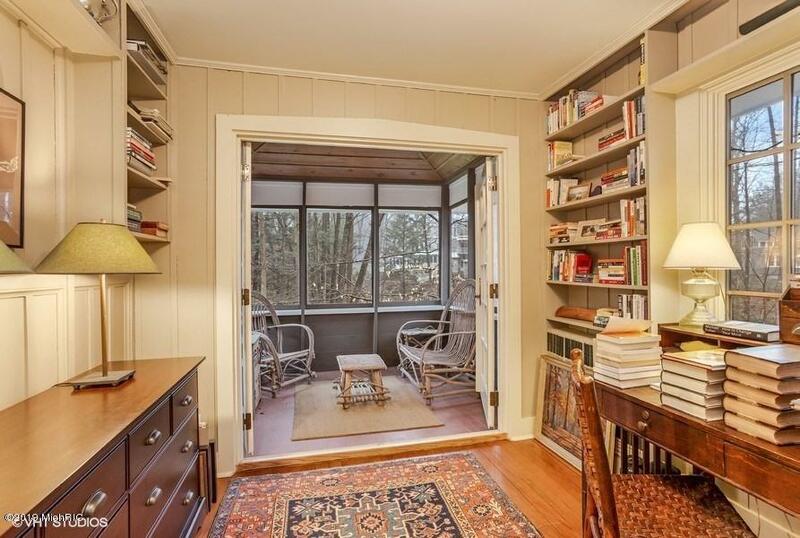 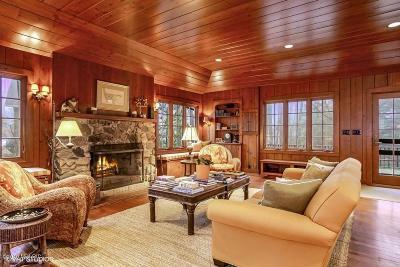 This delightful home on 2.43 acres has been carefully remodeled to preserve its vintage charm. 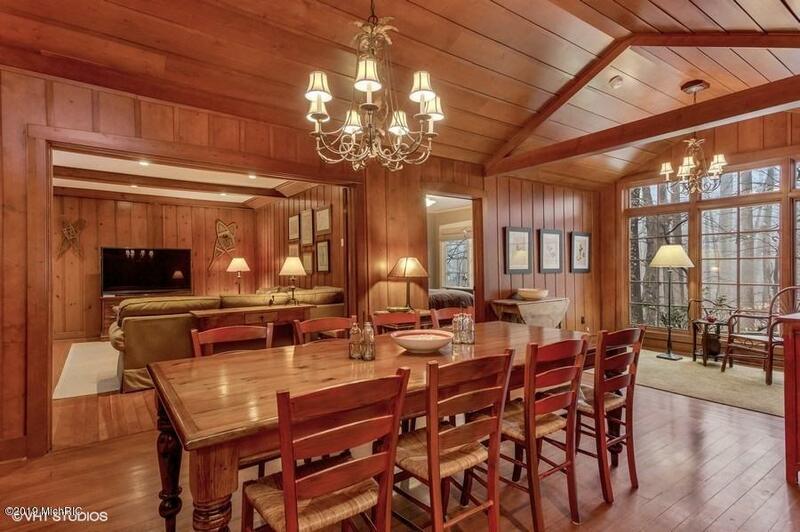 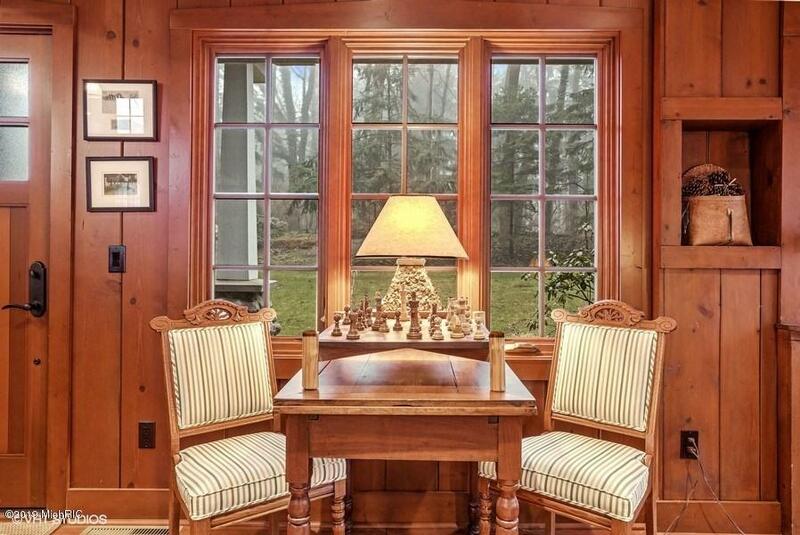 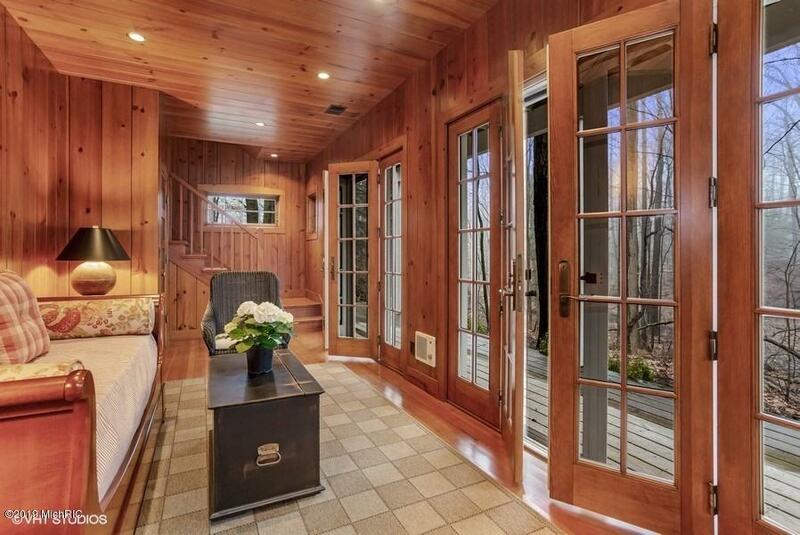 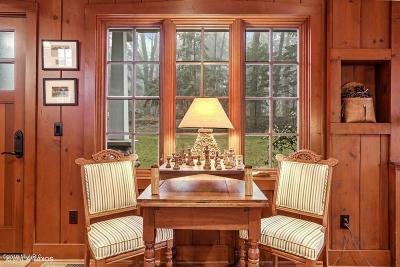 Warm wood tones and majestic wooded views create a cozy feeling in every room. The main level features an inviting greatroom with a stone FP, vaulted ceiling, and a fully-equipped kitchen with beamed ceiling, breakfast nook, wet bar, and large center island. 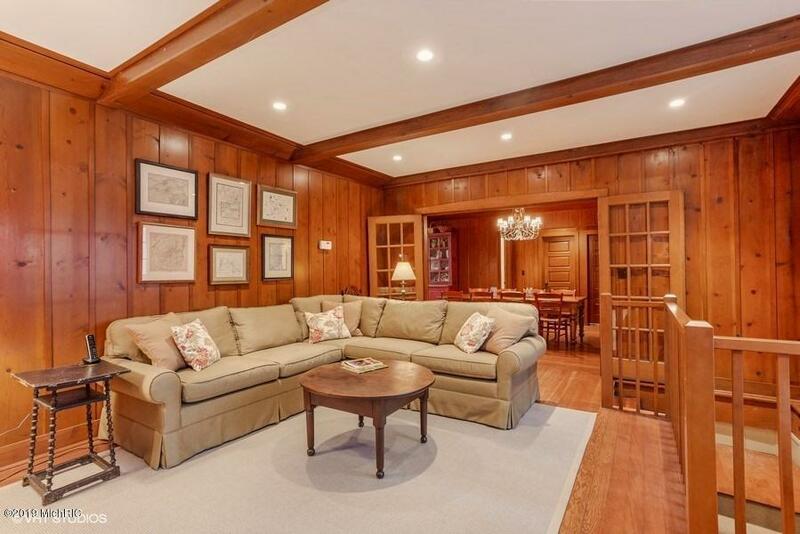 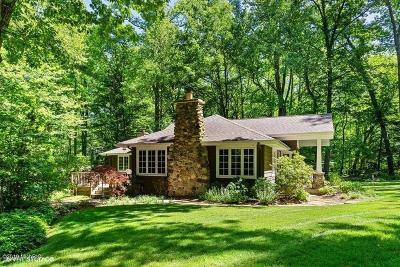 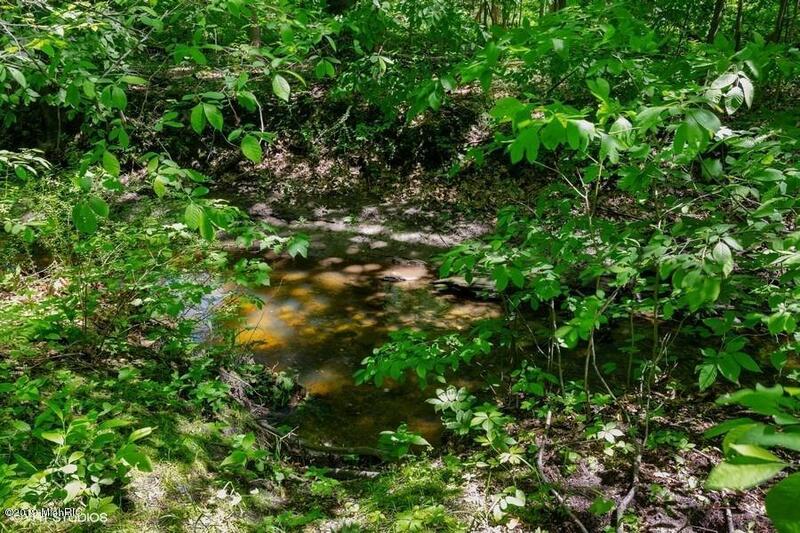 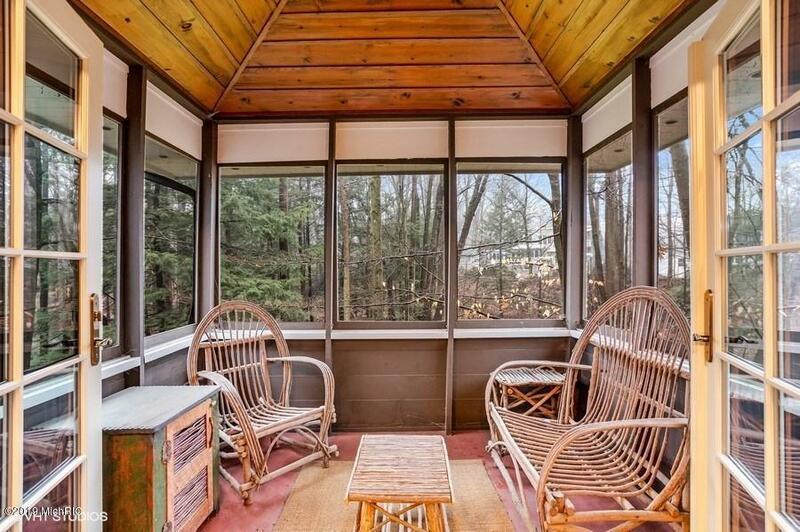 The main level master suite has a cozy office and a charming screened sitting area.The lower level family room with partial kitchen walks-out to a 90x20 screened porch overlooking a wooded ravine with meandering stream. 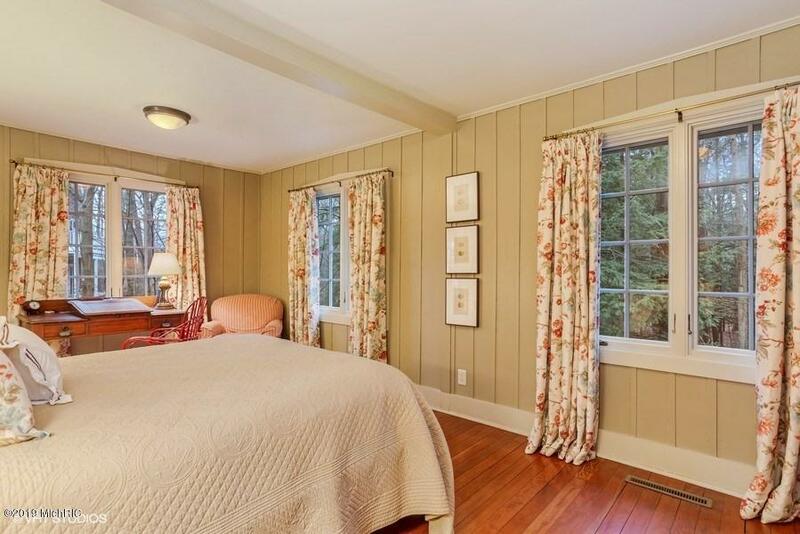 The detached 2-BR guesthouse offers the same charm, warmth, and vintage character of the main home. 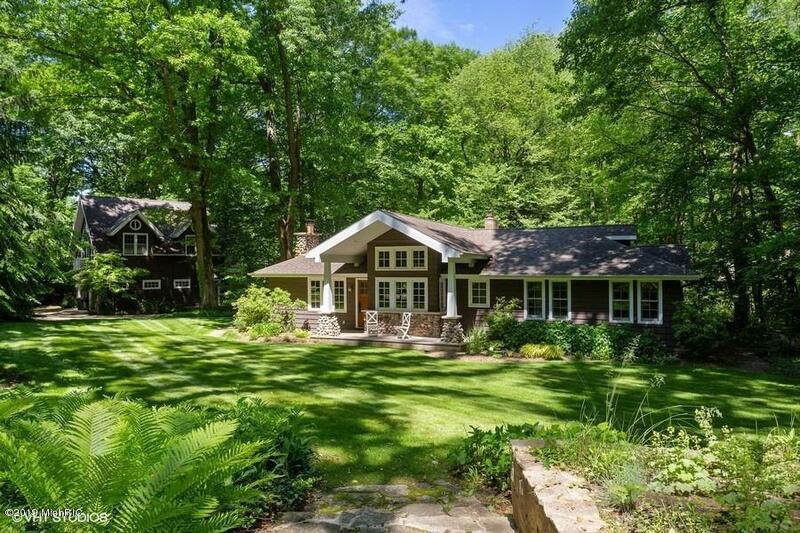 Includes a 20 x 20 lot in Shorewood Hills Association which provides beach, tennis, & playground privileges. 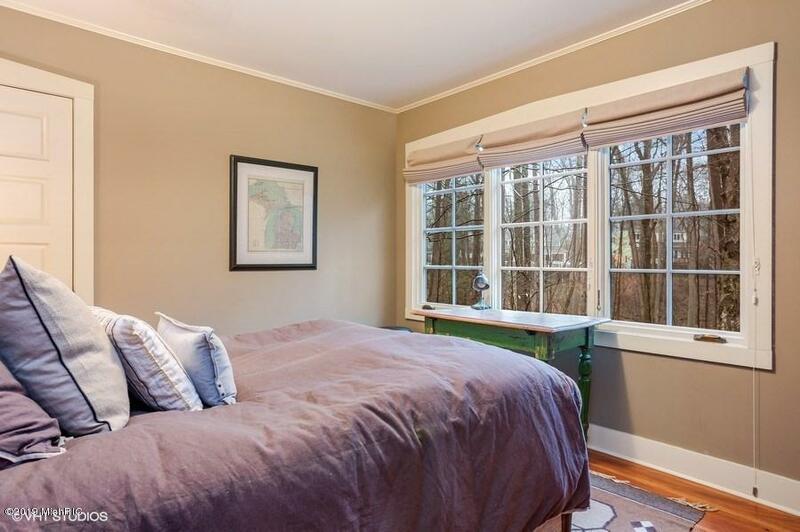 A short drive takes you to downtown Sawyer for Greenbush Brewery & Sawyer Garden Market or any of Harbor Country's many attractions.